Valley Roofing Provides Gutter Cleaning Services in Virginia! Do Your Gutters Look Like This? Gutter Cleaning Can Help! Gutter cleaning is incredibly important for your home. Rain gutters don’t receive a lot of attention, but they perform an important task. Neglected gutters can clog, leading to rot, mold growth, and structural damage to your home or office. Not what you want for your property? Let Valley Roofing do a gutter cleaning for you today. We have a team of experienced professionals trained in cleaning gutters, installing gutter guard systems, and keeping roof in tip-top condition. Gutters Require More Attention Than You Might Think! Most homes need a gutter cleaning 3-4 times a year, or with the passing of each season. Trees go through various cycles with each season, and it is helpful to stay ahead of them. In the Spring, trees drop seeds and dead twigs. Spring is also the best time to inspect your gutters for any damage that may have happened over the winter. Summer brings storms and high winds that may knock leaves loose from the trees above. At the end of fall, it is important to clean out and inspect your gutters to ensure that water will not get trapped and create ice dams or buildup. Too much buildup can cause gutters to become heavy and eventually break away from the fascia and fall from the house. Don’t Want To Clean Those Gutters? We’ve Got The Perfect Solution! 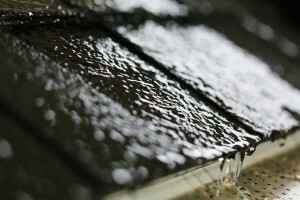 Valley Roofing can clean your entire gutter system and have it working like new in no time. Our team of experienced professionals can perform a high-quality and efficient gutter cleaning at your convenience. Not wanting so much maintenance? We suggest a gutter guard system to keep your gutters debris-free and running nicely! Valley Roofing installs a variety of gutter guard systems to keep leaves and other debris from clogging your gutter and causing water to gush over the sides. Valley Roofing Provides Gutter Cleaning On A Professional Level. A professional roofer knows just what to look for when cleaning and inspecting your gutters. At Valley Roofing, we have over a decade of experience cleaning gutters. From pitched and peaked roofs to the gutters on three story homes, our certified professionals ensure your gutters are clean and in tip-top shape. Best of all, we make recommendations on fixing any problems we find. Trust your next project to industry professionals with the experience to do the job right. Don’t wait until it’s too late, get a free gutter cleaning estimate today!